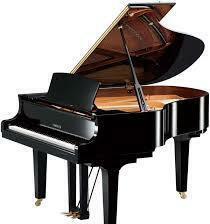 Beautiful grand piano, high gloss ebony, one loving family owner. Great condition. Just tuned. 6'1" Serial # E-468, built in . Bench has cream leather seat.